When EMI Music announced in May that the record company would re-issue the Pink Floyd musical catalog via re-mastered compact discs, vinyl editions, and Blu-rays, a friend of mine in his 20s asked me who on earth would buy such a blatantly physical product in the digital era. Answer: Baby Boomers. The Baby Boomer generation is sizeable (nearly 80 million strong) and willing to buy music in analog form. A re-mastered version of the band’s classic The Dark Side of the Moon via a two-disc “Experience” set, a vinyl LP, and a six-disc “Immersion” set (the latter retailing for $110 on Amazon as of September 25). Fourteen remastered Pink Floyd albums, available individually and as a “Discovery” box set ($180 on Amazon @September 25). 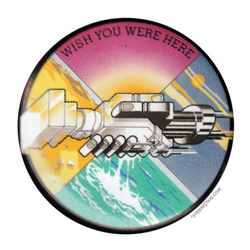 In November, EMI will release the band’s 1975 album Wish You Were Here via five-disc and two-disc editions and then The Wall will receive similar treatment in February 2012. Baby Boomers (like me) are the perfect audience for the album re-issues. Baby Boomers came of age during the era of album-oriented rock – when artists like the Beatles and Bob Dylan recorded albums that were intended to be experienced like full-length books. 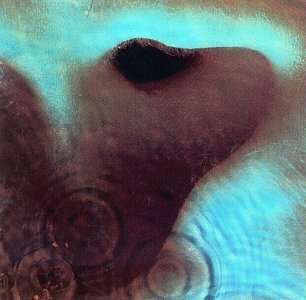 And Pink Floyd is the archetypal album-oriented rock band. 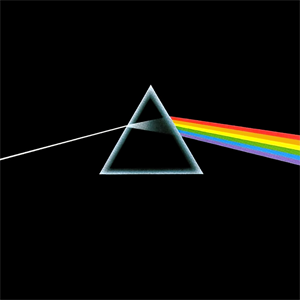 The group’s concept albums like The Dark Side of the Moon consisted of song cycles that were not made to be parceled out individually like digital snacks as music is today. Pink Floyd peaked artistically and commercially during the album-oriented rock era especially with sonic masterpieces Meddle, The Dark Side of the Moon, Shine on You Crazy Diamond, Animals, and The Wall. The Dark Side of the Moon remained on the Billboard charts for 741 weeks (longer than any album in history), and The Wall is one of the greatest selling albums of all time. 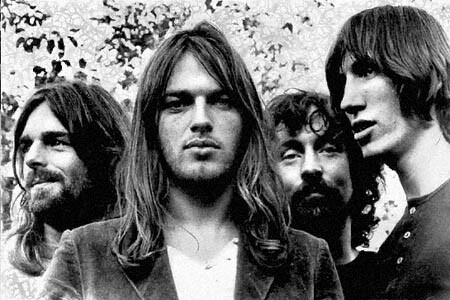 Pink Floyd’s albums sold well for many reasons, not the least of which was their ability to tap into universal themes of the human experience: alienation from others and ourselves, the consequences of rampant materialism, the dread of growing older, and the pressures of success. 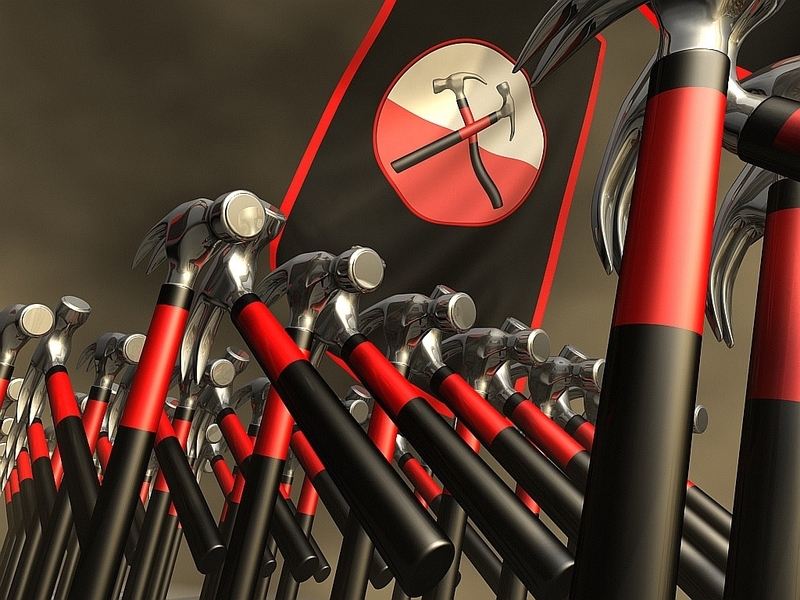 Those themes resonated then (and now) largely because they reflected the real-life experiences of chief lyricist bassist Roger Waters, complemented by the musical genius of guitarist David Gilmour, drummer Nick Mason, and keyboardist Richard Wright. The messages and ideas imbedded in the songs (and between the songs) required (and still do require) a close listen of the entire album. The albums spoke to the Baby Boomer generation not only through their music but through their art design as well. The band collaborated with Hipgnosis to design some of the most memorable packaging in rock history, ranging from the floating pigs that graced the moody cover of Animals to the abstract and mysterious prism motif of The Dark Side of the Moon. 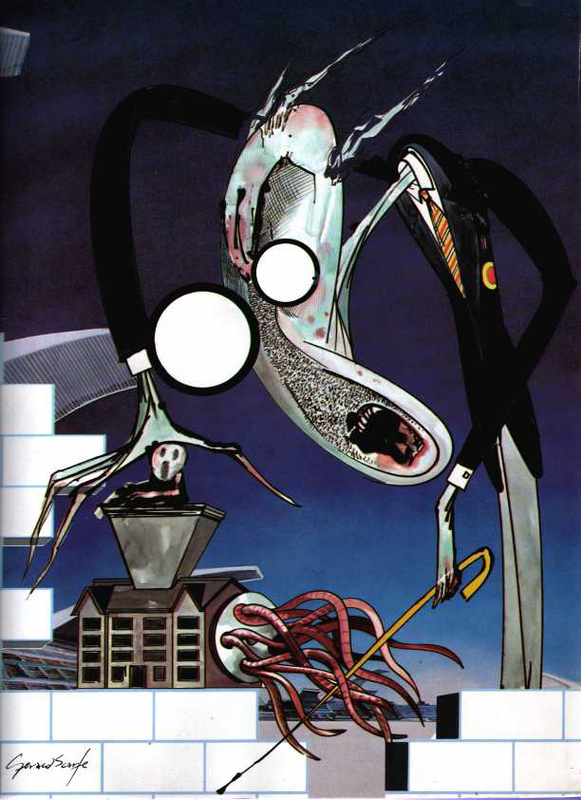 Gerald Scarfe famously designed the sleeve art and creepy cartoon icons that added to the themes of alienation that defined The Wall. 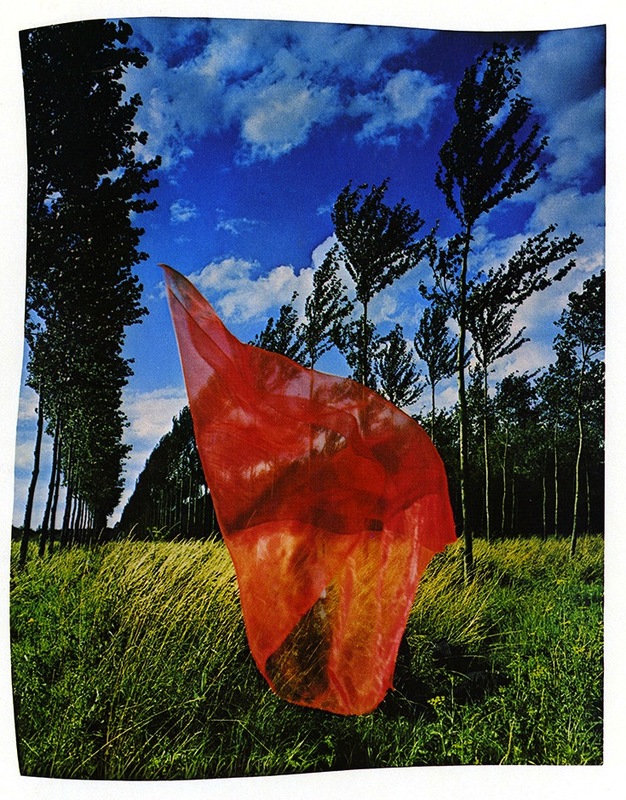 Part of the experience of discovering Pink Floyd was trying to unravel the meaning of the post card photos of pyramids you found inside the sleeve of The Dark Side of the Moon or discussing with your friends whether a human shape could be discerned in the image of a red scarf on the sleeve for Wish You Were Here. I’d argue that it’s not just analog that its consumers value and embrace but physicality and packaging in general. I’ve felt for a while that it’s a shame we’re losing the physical objects, not just music but now books. My kids might not really know what it’s like to browse someone’s shelves—to be at a date’s home for the first time and not have that connective tissue to interact with and start a relationship rolling. It has been said of Baby Boomers that “almost from the time they were conceived, Boomers were dissected, analyzed, and pitched to by modern marketers.” And EMI is doing a fine job pitching the Pink Floyd reissues to Baby Boomers. A YouTube channel, Facebook page, Twitter account, and dedicated microsite, Why Pink Floyd, shares content such as a series of cryptic videos that evoke band’s best work. 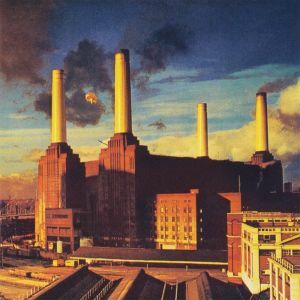 On September 25, EMI also recreated the iconic Animals album cover by floating inflatable pigs over the same Battersea Power Station that was used for the Animals photo shoot in the 1970s. And during the week of September 25, Late Night with Jimmy Fallon honors the band’s legacy via “Pink Floyd Week.” Musicians ranging from the Foo Fighters to Pearl Jam will perform classic Pink Floyd songs, and band members Roger Waters and Nick Mason will appear on the show, among other highlights. It’s a very short list of albums that I’d spend $110 on. Dark Side of the Moon is one. Probably #1. I’m not much interested in the tchotchkes (a Pink Floyd scarf? seriously?) but I’m extremely interested in the hi-res, multi-channel versions and the concert videos. Much of it never released until now. I’m sure the booklets and photos will be great too. And it’s all in an attractive package. We’re getting a serious amount of genuinely new material for $110. When looking at the inventory, it even seems like a bargain. I’m eagerly awaiting my The Dark Side of the Moon Immersion set even though I already own four different CD re-issues. So, yeah, I’m a perfect target like Eric is. And Pink Floyd isn’t the only band repackaging its music for Baby Boomers: check out this “Uber Deluxe” version of U2” Achtung Baby headed our way for nearly $500. Get your analog and digital checkbooks ready. This entry was posted in Entertainment, Marketing, Music, Uncategorized and tagged Animals, Baby Boomers, David Gilmour, EMI, Late Night with Jimmy Fallon, Nick Mason, Pink Floyd, Richard Wright, Roger Waters, The Dark Side of the Moon, The Wall, Tom Peters, WIsh You Were Here. Bookmark the permalink. You nailed it once again! 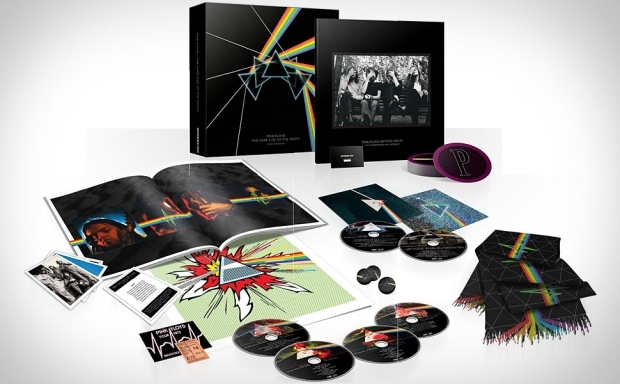 I\’m also a boomer and in true boomer style have already pre-ordered the Immersion box set of The Dark Side of the Moon. Saw an advance copy of it in an HMV store in London last week. Begged them to buy it, but they wouldn\’t budge. I wore out the grooves on two vinyl Dark Side discs during my college days, and still have my original 8 Track of the album. I would wager it still plays. Did Dark side of the Moon change my life? No. I keep control over that thank you very much. But each Pink Floyd album made a mark on my life timeline. For a long while it kept the rhythm for each day and I celebrated my personal growth by allowing myself to experience another listen of the Dark Side. That album will forever be fused with what I was thinking, doing and dreaming about. And I dreamt a lot. Gerald Scarfe has been a study of mine for decades. More of a draftsman than an artist in my opinion, and driven by the politics of the time. He covered the Vietnam war in groundbreaking manner through the eyes of a Londoner provided a needed balanced viewpoint to the nightly news we watched during dinner here in America. Vietnam was the first televised war and I believe that Scarfe\’s approach was helpful to me as an impressionable boy who narrowly avoided the draft. Scarfe\’s work has always reminded me of Ralph Steadman and in particular Steadman\’s study of Sigmund Freud. I\’ve got a first edition of that book, so drop by and we\’ll chat; for about 6 hours. I continue to be jealous at how you seam to effortlessly weave music into a rich tapestry of marketing and society and the human condition on your blog. Bravo. BTW. I can\’t help but tell you that in 1980 my best friend and I drove to Los Angeles and saw The Wall live performance. One more notch on the watershed music belt for me. I\’m very fortunate. Steve, your comment could stand alone as a blog post. Wow, you drove to L.A. to see one of the few showings of The Wall? Now I am jealous. I realize Pink Floyd performed The Wall very few times due to the costs and complexity of managing the show. In context of your overall reply, I envision you and your friend on your drive to L.A. having an experience worthy of Hunter S. Thompson\’s words and Ralph Steadman\’s images. Your comparison of Scarfe to Steadman makes perfect sense. (I had not realized the similarity until I read your reply.) Thank you for the back story on Gerald Scarfe\’s coverage of Vietnam as seen through the eyes of your younger self. At the time, little did you know that Scarfe would later visit your life in a different way. When Roger Waters was promoting his 2010 update of The Wall tour, he gave some interesting interviews with news media in which he commented that he had the vision of The Wall as a rock concert experience before he started writing the album. His and Scarfe\’s visual collaboration on the show Waters had in mind produced the memorable images and characters that would later appear on the album when Waters turned his attention to writing songs. I would also be hard pressed to say whether \”Dark Side of the Moon\” changed my life, but it certainly has helped me get through life. The album still resonates. The idea of time slipping away, which Roger Waters captured through the lyrics of \”Time\” (when he was not yet 30 years old, I believe) feel even more powerful to me today.